Although there is still no official word from the NC Commerce Dept or the NC Film Office in regards to who indeed got the Dirty Dancing money ($4M), I am still pretty damn certain of at least two out of the three projects that are coming to North Carolina to begin production in October, and we have some North Carolina natives to thank! @WilmywoodNC yes indeed! I grew up in NC. Excited to be back! Good Behavior is written by both Crouch and Chad Hodge. They will serve as executive producers for the show as well. The show will star Michelle Dockery who you know as Lady Mary Crawley of Downton Abbey. She will play Letty Dodesh. The storyline is about “a thief and a con artist whose life is always one wrong turn, one bad decision from implosion — which is exactly how she likes it. Fresh out of prison, Letty is attempting to stay afloat, but when she overhears a hit man being hired to kill a man’s wife, she sets out to derail the job, putting her on a collision course with the killer and entangling them in a dangerous and seductive relationship.” Good Behavior should begin production in early October. Next up, let’s welcome back Danny and Jody as they bring us the father/son flick The Legacy Of A Whitetail Deer Hunter. The feature stars Josh Brolin and Danny McBride and the storyline revolves around a nationally known deer hunter who takes his son on a hunting trip. 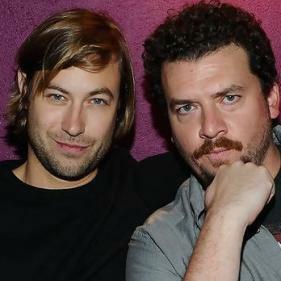 Danny and his partner in crime Jody Hill are the writers and executive producers. The project is coming from Scott Rudin Productions and Rough House. Jody Hill will be directing. Lila Yacoub is listed as the LP. The PM is Georgie Marquis. Currently, Asheville, NC and Georgia are listed as locations, but I have a feeling it will be shot solely in Asheville. From what I have been hearing, they have already been in contact with some members of the film community and could be opening offices in the next week or so. Production should begin mid to late October. Jody is a North Carolina boy, born in Concord. He and Danny both graduated from the North Carolina School of the Arts in Winston-Salem. McBride and Hill are currently shooting the HBO series Vice Principals in Charleston, SC. If you remember they wanted to film that show here and had already scouted all the locations. But when the NCGA screwed up our film incentives, they headed to SC. Before that, they brought HBO’s Eastbound and Down to Wilmywood. What will happen to the NC Filmed Masterminds & Disappointments Room now? More to come on this story. Eriq Gardner says, “The Hollywood Reporter will provide updates on this motion.” We will be ready and waiting. A doctor, a genie and everything in between: The world lost a comic icon yesterday, his death sudden completely unexpected. Robin Williams, who left a lasting impression on both young and old in numerous memorable turns, apparently took his own life, law enforcement officials said. The cause of death has not yet been confirmed. However the cause of his fate, the world mourns for man that was a part of all of our lives since we were kids. For me, I love so many of his movies, however, it was Dead Poet’s Society that had the most impact on me as a teenager. He taught us all how to think for ourselves, to be brave and to do the right thing. It stuck with me all those years. North Carolina crew members got the chance to work with him, when Blue Wolf Productions brought Patch Adams to Asheville and Chapel Hill in 1998. Harrison Palmer was an electrician on Patch. Valerie Robinson said years ago she had the pleasure of working with Robin Williams and John Travolta on promos for their movie, Old Dogs at a small studio in Raleigh. Sleepy Hollow’s Orlando Jones agrees. Others in the business also expressed their love for the talented actor. Williams's first appearance as Mork was a stunner–you knew at once that there had never been a comedian like him. Steve Martin: I could not be more stunned by the loss of Robin Williams, mensch, great talent, acting partner, genuine soul. In public and in his movie roles, he was irreverent, he was quirky, and he made sure that you had a better day. But in private, he battled demons. He is loved. He is already missed. He was 63. Happy Monday! Are you still recovering or revving to go? Well, whether you are into football or not, common ground is found when it comes to the commercials. 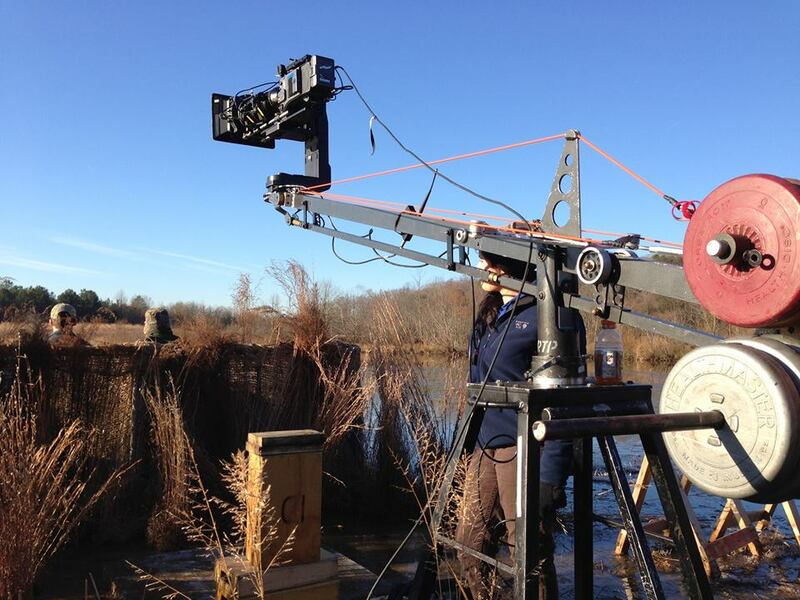 They had a handful of great ads, and one of them was shot right here in North Carolina. Some of our NC Film Crew worked on this funny one! The Diet Dew Dale Call. The fabulous Patrick Borowiak, Sean Yaple, John McIntyre, and Kane Pearson were all in the Camera Dept. from Wilmington. I was told the rest of the crew was mainly from Charlotte. Check out the remote head they used from 4 Perf Productions for the commercial and find out what other productions they’ve used this bad boy on. Find 4 Perf on Facebook. On the local commercial front, give it up for our local boy Michael Rosander! Seriously, how great was it to see Michael doing that O’Brien Heating and Air Commercial! Awesome dance moves, Rosander! Awesome dance moves! Now if you missed it on Friday there are two things for you to know. First, congrats to out NC shot show, Banshee, although they didn’t say if they would continue to film in NC, Cinemax announced a Season 3 pick up. Hopefully it is implied. Also, Moviemaker not only gave Wilmington some love as they put us at #2 on the list of top small cities that is the best place to live and work as a movie maker, but Asheville came in at #1 as the best town! Go NC Film go!